Spectre Aluminum Pulleys are available in single, double, and triple groove as well as serpentine style to cover your application. Spectre Aluminum Pulleys feature construction designs that reduced weight without sacrificing performance and durability. Matching water pump nose covers are available for the Spectre Aluminum Pulleys to conceal the end of a pump shaft. 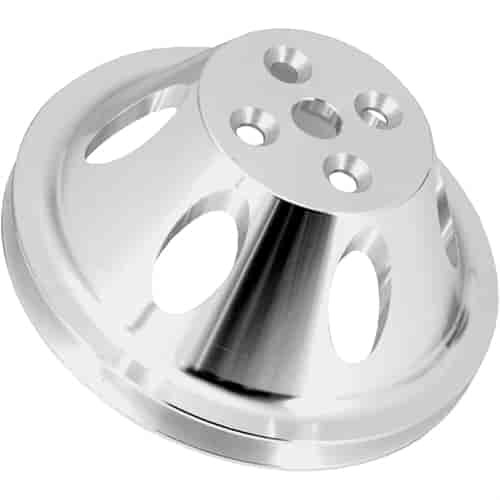 Spectre Aluminum Pulleys are available for alternator, power steering, crankshaft and water pump pulleys for a complete engine dress up. Mounting bolts are not included unless otherwise specified. What is the offset on this pulley and what is the bolt circle ?? Spectre 4692 - Water Pump Pulley Bolts 5/16"-24 x 3/4"